If you are searching for the best company that advertises “we pay cash for houses in Colorado” then look no further, because our professional home buying company HBR Colorado pays cash for houses in Colorado in as little as one week, and there are no closing costs, commissions, or fees. If you are interested in getting a risk free, no obligation, fair cash offer on your property today then give us a call or text right now at (719) 286-0053 and one of our home buying specialists will analyze your situation and make you an offer that works for you. Our professional home buying process in Colorado is actually very simple and straight-forward. We operate our company in a 100% honest, ethical, and transparent fashion, and are willing to explain our real estate buying process to any of our clients in great detail. How it works is very simple: basically one of our professional home buying analysts will do an in-depth market report on your particular property and address to find out how much it will be worth once fully fixed up and put on the open market. We will use this value to determine how much the home will likely sell for once we have fixed it up, and then subtract our repair estimate off of that number. Then the next step is to determine the estimated repair costs that it is going to take to bring the property up to that value. Once we have the estimated full market value (also commonly referred to as the after repair value) then we will take a certain percentage of that value and subtract out the estimated repair costs, giving us our rough estimate of how much we can likely buy the home for with cash. We will then present that offer to you in verbal or written form, and you can take as long as you want to respond and give us your answer. If you do decide to move forward with us, then the next step is to send the contracts over to a local title company, where we will then set the closing date, and other finer details about the transaction. When Is It A Smart Decision To Sell To An Investor? During foreclosure. If you are facing foreclosure, and are in the process of losing your home, then selling directly to an investor for cash can be an extremely smart decision. Selling quickly for cash will allow you to pay off your loan in full and possibly even have some cash left over to cover some other living expenses. Job loss or relocation. If you have recently lost your job or are getting ready to relocate to another city or state for work, then you might consider selling your home quickly for cash to a private real estate investment firm. It allows you to be much more flexible with the terms and conditions on your sale, such as remaining in the home for a couple of weeks, even after the closing has taken place. Divorce or separation. If you are going through the painful process of divorce or separation from your significant other, then you may want to consider selling your home to a real estate investment company like us here at HBR Colorado. We can make you a fair cash offer on your property and close quickly, alleviating the stresses and pain that are already difficult to deal with in a situation such as this. Tax liens and code violations. 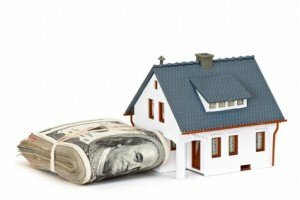 If you are dealing with complicated tax lien problems, then one way to satisfy those liens and pay them off in full is to sell your home directly to a private investment firm. Additionally, if you own a property that has excessive code violations for not acquiring the proper construction permits, that situation can also be quickly remedied by selling fast to an investor for cash. If you are interested in our professional home buying program here at HBR Colorado, and are ready to take the next step by getting a fair cash offer on your property, then please give us a call or text at (719) 286-0053 and someone from our team will analyze your home and make you a fair cash offer in less than 24 hours. You can also simply click on the orange chat box in the lower right-hand corner of the screen to speak with one of our live agents to get an instant quote right now. Other “we buy houses” companies in the Colorado market typically will only pay up to 65 – 70% of the full market value for your home, but we here at HBR are able to offer much higher payouts of up to 80% and sometimes higher if the property is in excellent condition. So stop entertaining those low ball offers that you are getting elsewhere, and contact us today to get a free quote and see how much you can sell your house for right now. Our closing process is simple and easy to understand, and we even have the ability to do mail out closings and electronic closings, so you don’t even have to show up to the title company on the day of closing…simply stay home in your pajamas and sign your documents electronically, and then get your funds deposited directly into your bank account! If you’re ready to move forward then fill out the form below to get started, and get a fair cash offer on your Colorado property today.